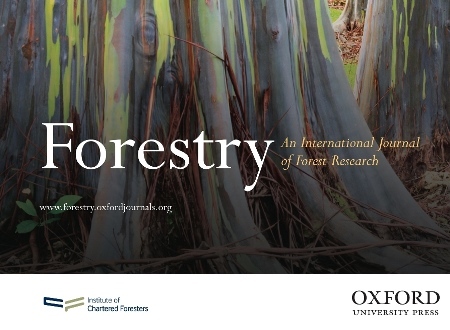 A new award has been launched by the Institute of Chartered Foresters (ICF) and Forestry: An International Journal of Forest Research, to celebrate research on forest economics. The Forest Economics Prize will be awarded to the best paper on this subject accepted for publication in Forestry. The Forest Economics Prize will be adjudicated by a Prize Committee, who will look for innovative papers that inform policies and practice affecting the sustainable management of forests, woodlands and trees. The committee includes renowned forest economists Professor Hans Fredrik Hoen, Norwegian University of Life Sciences, Professor Niels Strange, University of Copenhagen, Denmark and Professor Riitta Hänninen, Natural Resources Institute, Finland. The submission period for the inaugural award is 1 April 2015 to 29 February 2016. A winner will be announced in March 2016, who will be invited to receive their award at the Institute’s annual conference in April. For more information, visit the Forestry website.